So much more than just a beautiful collection of buildings, the 14th Century Parish Church of St Mary is a treasure trove, steeped in the history and romance of ancient Alderley. 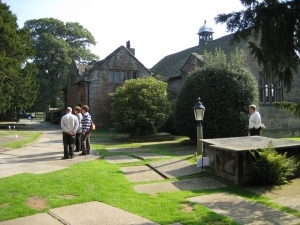 Like all great historic churches, St Mary’s owes many of its unique features to the patronage of the local aristocratic family – the Stanleys of Alderley. St.Mary’s is a “living church” in the community but it also attracts many visitors. info@stmarysalderley.com. We will do our best to accommodate you. Please follow the links below.